Vitamix vs Ninja: How Do You Decide? What Do You Need To Know Now? So, you’re trying to decide whether to buy a Vitamix or a Ninja blender and are not sure which one to choose. You also want to know more about Vitamix and Ninja, where are they based, etc. This review will give you all you need to know about Vitamix, Ninja and even specific models of each that we recommend. Use to table of contents below to skip to any part of this review that most interests you, or just read through starting below. What Is The Deal With Vitamix Vs Ninja? What Is Vitamix and Where Are They Based? What Can The Vitamix 750 Heritage Do? Does the Vitamix 750 make soup? What Does The Vitamix 750 Puree Mode Do? Does The Vitamix Heritage 750 Clean Itself? Does The Vitamix 750 Heritage Grind Nuts, Seeds and Grains? What About The Vitamix 750 Heritage Manual Mode? Why Use The Vitamix Heritage Manual Mode? How Do I Use The Vitamix 750 Heritage Blender Tamper? What Is The Clear Plastic Ring In The Middle For? How Much Power Does The Vitamix 750 Heritage Have? What Are The Vitamix 750 Heritage Specifications? Will The Vitamix Heritage 750 Fit Under My Cabinets? What Comes In The Vitamix Professional 750 Box? What Is The Ninja CT682SP Intelli-Sense Kitchen System? What Is The CT682SP Intelli-Sense Kitchen System? So What Does The Total Crushing Pitcher Do? What About The Food Processing Functions of The CT682SP? What Can It Do? How Does The Single Serve High-Speed Blender Cup Work? What Does The Auto-Spiralizer Attachment Do? What Are The CT682SP Attachments Made Of And Are They BPA Free? What’s Included In The Intelli-Sense Kitchen System? What About Manual Modes And Pulse Settings? Where Can I See Ninja Intelli-Sense Kitchen System CT682SP Warranty and Pricing? So What About Vitamix Versus Ninja? Vitamix blenders are high quality and expensive blenders that will last a long time while Ninja blenders are full of features and are a lot more affordable. To help you choose, this review will focus on two of the blenders that are the best representatives of Vitamix and Ninja. Each of these models show how each of these companies have positioned themselves in the small appliance industry are both very popular models for consumers. This review will first focus on the Vitamix Professional 750 Heritage, followed by the Ninja CT682SP Intelli-Sense Kitchen System. Each model will be detailed with enough information to help you decide which one best matches your needs in the kitchen versus your budget. One of the most popular Vitamix blenders is the Professional 750. It is simple, powerful and very effective. It is also among the more expensive blenders on the market. (If you want to see it on Amazon, click here). The Heritage is the current version of the Professional 750. It was introduced in 2016 and is now the standard model, replacing an earlier Professional 750 model. The Heritage improved the previous model with some significant upgrades. The Heritage has a solid stainless steel base that replaced the partially plastic elements in the previous model. This solid stainless steel base is more substantial in operation and will likely add durable life to the blender. The 64 ounce pitcher was re-designed with a durable Tritan BPA-free plastic (glass pitchers have been almost entirely replaced in most blenders for safety) and snug fitting blender cover. This blender cover fits deep inside the pitcher to maintain a tight seal to prevent accidental blender explosions of blender stuff up into your cabinets. Heritage blender motors have also been re-designed to be quieter when running than they were before, you won’t cover your ears from high pitched blender noise with the Heritage model. Blender blades in the Heritage were modified by adding a coating to prevent them from “flecking” or flaking off bits of metal during use. This was a problem in the prior model. All in all, the Heritage is a solid blender that will last a long time, which is why it’s priced on the high side of blenders. You should know, though, that the Heritage 750 comes with a standard 7-year Vitamix warranty. That is a long time in the small appliance world, and if you think about it, Vitamix is signaling how long they expect these blenders to last. Compare what you would pay for this blender once in 7 years versus what you would pay for a lower priced blender that will last a fraction of that time, more on this later. Vitamix is one of the original blender makers, with a history in the United States going back to the late 1930’s. Founder William Grover Barnard introduced the name originally as “Vita-Mix” with the focus on the health or “life” benefits of blending whole foods. William Barnard, also known as “Papa” went on television in 1949 to create the first “infomercial” about the health benefits of using Vitamix blenders to blend whole foods. Vitamix went on to introduce soup making, dough kneeding and grain grinding to the market in the late 1960’s and also to introduce commercial blenders in the 1980’s. The company has always been family run, the current president is Jodi Berg, Papa Bernard’s great-granddaughter. Vitamix is based in Olmsted Township, Ohio. Vitamix just designs and builds blenders, nothing else. If you consider how long Vitamix has been making blenders in the United States, you may safely assume that they have learned how to build a quality product. Many professional chefs agree that Vitamix blenders are their blenders of choice. Chef Michael Symon of Food Network’s Iron Chef America uses Vitamix blenders. As a graduate of the Culinary Institute of America (CIA), Michael is (see here). The CIA even has a signature commercial blender available that you can see here on Amazon. Another interesting fact: Which blender does Starbucks use? Starbucks uses a Vitamix blender. It is the Vitamix 36019, known as The Quiet One (you can see it on Amazon here). You may have noticed it in their stores enclosed in a clear plastic box to reduce blender noise. Starbucks used to use a Blendtec model before replacing it with the Vitamix 36019. The Heritage can blend, make dough, make soup, make ice cream, make sauces and dips, baby food, self-clean and a lot of stuff in between. The Professional 750 Heritage is really simple to operate, it has 5 automatic modes that you select by rotating the main dial and a manual mode with power settings from 1 to 10. Of course it makes smoothies, the icon of two liquid drops on the dial is the Heritage’s Smoothie mode. When you select this mode, the blender will automatically run the motor at different speeds designed to crush ice and frozen or fresh foods and blend them together very smoothly and very efficiently. The Vitamix Professional 750 makes ice cream and other frozen deserts in the Frozen Deserts mode. This mode is indicated by the snowflake icon on the dial. The Heritage also comes with a specially designed tamper that is perfect to use in this mode to make sure that ice cream and other frozen ingredients are thoroughly blended into rich milk shakes or other frozen drinks. The Frozen Desserts mode automatically runs the blender motor in high and low power settings to best blend frozen treats. An important thing to consider: Vitamix has put the right amount of power into it’s blenders to make sure that each mode has enough to get the job done in each blender mode. Yes, the Soup mode will make soup. It is the icon with the half circle and wavy lines above it. This mode is designed to use the blender blade speed to heat up the ingredients you put into the blender pitcher. Note that it doesn’t cook raw ingredients, it just heats up whatever you put inside it into soup temperature. So, if you’re making chicken soup, cook the chicken first! This mode, the icon has zig zag lines, is great for making dips, spreads and baby food. Turn this mode on and the motor will use just the right amount of power to blend without liquefying the ingredients. Yes, icon with bubbles above a half circle is the Heritage’s automatic cleaning mode. Add a few drops of liquid soap to warm water and turn it on. The cleaning cycle will run for about a minute at the right speed for cleaning the inside of the blender pitcher. Yes it will grind nuts, seeds and grains. If you’re going to be doing a lot of grinding or milling though, you should buy a separate pitcher for milling, the Vitamix 32-ounce Dry Grains Container (here on Amazon). The 32-ounce Dry Grains Container has specially configured blades that are designed to push the milled nuts or grains up in a “reverse vortex”. 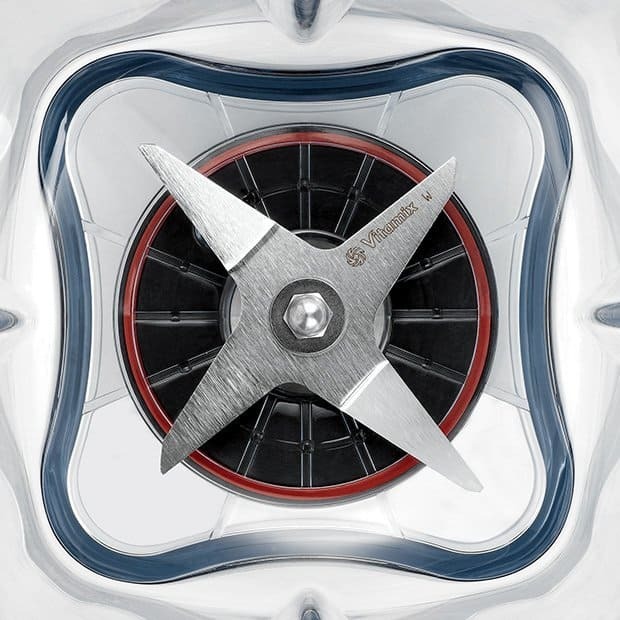 The reverse vortex pushes the ground ingredients up into the container so that they don’t clump together under the blades as they tend to do in a conventional blender pitcher’s blades. You can still use the standard 64 ounce blender jar for milling small batches of nuts or seeds, but beyond that get a Dry Goods Container. The manual mode is simple, just turn the main dial to change the power from 1 to 10. It is a good idea though, to start at a lower power setting before increasing to a higher power setting since the high power settings can be really powerful. You don’t want to damage your blender pitcher from blender ingredients flying around. The manual mode operation is great for all blending operations and for blending just the right amount of time and speed for your favorite blending tasks. Use this mode whenever you familiarize yourself with the blender. The manual mode gives you all of the motor power that the Heritage blender has, but be careful when starting the blender on full power since some of the heaviest ingredients will be flying around your blender pitcher at very high speed. The tamper included in the box with your blender is designed to fit through the clear lid on the blender cover to push hard to blend ingredients into the blender blades. You just have to remove the clear circular lid in the center of the blender cover and insert the tamper. Turn the blender on and use the tamper to push ingredients like leafy greens, frozen foods or other “lumpy” or “delicate” foods into the spinning vortex of the blender blades. The tamper is just long enough to fit through the blender lid down to just above the blades, so don’t worry about hitting the blades with the tamper. The center ring in the middle of the blender jar cover, the lid plug, is meant to pull out of the lid so you can pour ingredients into the blender while it’s running. It’s a great option to have when you need to slowly add butter to Hollandaise (see our recipe here with Eggs Benedict) sauce or olive oil to a dressing. Ingredients like these need to be added slowly after other ingredients have already been blended and this is what this opening if designed for. Another interesting feature of the little lid: It can be used a cup to add ingredients. 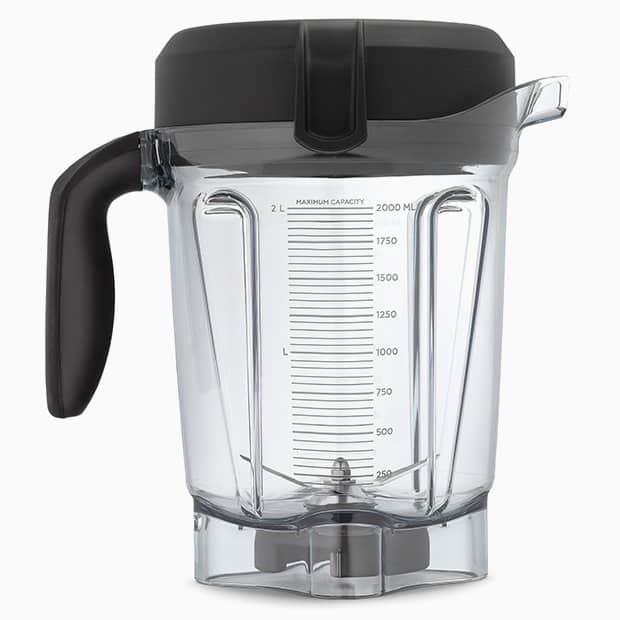 It even has a 2 ounce measurement line that is visible when you remove it from the blender lid to help you measure how many ounces you want to add. The Vitamix Heritage 750 blender motor base is rated at 2.2 horsepower peak power and 300 amps. This is a lot of power. That’s why you have to be careful when using maximum power in manual mode to make sure that you don’t launch ingredients. The Heritage weighs about 11.5 pounds. The power rating is: 120 V, 50/60 Hz, 12 Amps. The power cord is 6 feet long. The standard 64 ounce blender pitcher is about 7 inches high. When you put it on top of the 5 inch motor base, that makes it about 12 inches high when the blender pitcher is loaded onto the motor base. As is also detailed in the Specifications right above, the blender base is 5 inches high from the anchors to the pitcher fittings, and the pitcher with the lid secured is 7 inches high. Together the base and pitcher stack up to 12 inches. So, if your kitchen cabinets are at least 12 inches above your countertops, you should be fine. The Vitamix Professional 750 Heritage includes a motor upgrade that is designed to be quieter than the previous model and longer lasting. A radial cooling fan and thermal protection system designed into the motor is meant to keep it from overheating and preserve the motor for a longer motor life span. The motor base uses a metal drive system to connect the motor base to the blender pitcher, which is another Vitamix feature that is designed to preserve and extend the motor’s life span. 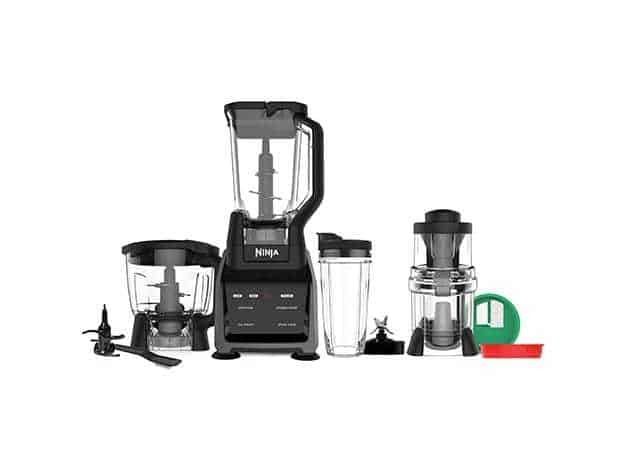 In addition to the blender (the base and the blender pitcher with its lid), you will get a tamper designed to push ingredients down in the blender blades through the lid, a recipe book, a DVD and an instruction manual. The Vitamix Professional 750 Heritage is a very solid blender that does the same jobs in the kitchen that are called for by professional chefs. You may not need a blender with this level of quality, in which case check out the Ninja System reviewed below. But if you do value the quality built into Vitamix blenders, then the Professional 750 Heritage edition is a highly recommended option. Reviewers have been pleased by the noise reduction built into the Heritage model, that it’s quieter than the older models. They also like the power and consistent blending in the Heritage. 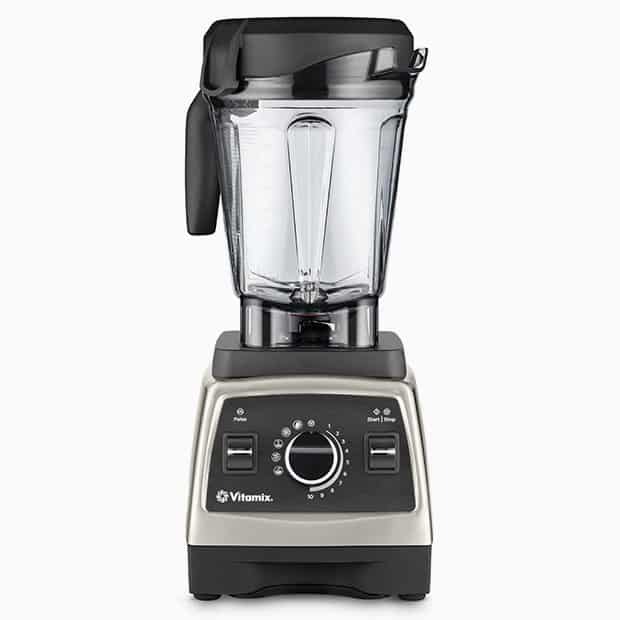 That’s really the most important feature for many people, they like that Vitamix blenders, including the Professional 750 Heritage, make creamy smoothies, well blender cocktails and dips and ice cream to a very high level of quality every time. Reviewers have often compared their Vitamix blenders to other lower priced brands and found that the other blenders just don’t do the same blending jobs as well as Vitamix does. If you were to use one word to describe Vitamix blenders it is this: Quality. That includes the Vitamix Professional 750 Heritage. The thing to remember about this blender is that Vitamix gives you a standard 7 year warranty. You even have the option to extend that warranty beyond 7 years if you want to for a fairly low cost extended warranty. The point is that Vitamix would not provide this long of a warranty for an inferior product. Small appliances generally only come with 1 or 2 year warranties since that’s about as long as a lot of small appliances last. So, consider how long you’re going to own a Vitamix Professional 750 Heritage when you look at the price. Divide that price by how long you expect to have it, with that standard warranty that would be at least 7 years. Compare that number to a low priced blender that may only last 1 or 2 years. In the end, it’s probably worth paying for quality since you get the benefit of using a high quality blender for at least 7 years instead of a lower quality blender that you have to keep replacing. 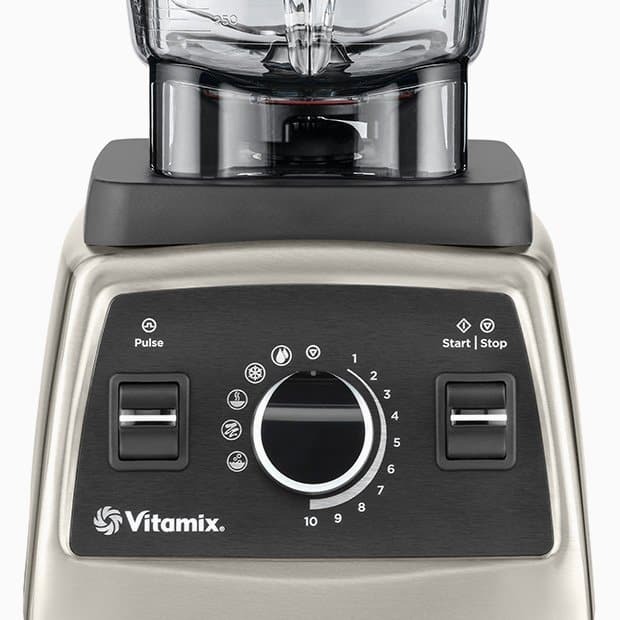 You’ve just justified paying the price for a Vitamix Professional 750 Heritage in practical “cost vs benefit” terms, now also think about how great it’s going to fit into your kitchen and all of the healthy smoothies, fun cocktails and gourmet sauces, even ice cream that you will now be able to make with this blender! To see the Vitamix Professional 750 Heritage on Amazon, with latest pricing, any discounts, free shipping options and even optional extended warranties, see here. The CT682SP Intelli-Sense Kitchen System is more than a blender. It really is a system, with a 1,200 watt motor base that is used with each of the system’s four blender pitchers or containers. (If you want to see it on Amazon click here). The first Total Crushing Pitcher is a 64-ounce capacity blender pitcher that gives you 4 different blender modes to use when you put it on the blender base. The second Processor Bowl also gives your 4 different food processing modes when you put it on the base. The individual 24 ounce Serving Cup also gives you 4 different blending modes when you put it on the base, some are based on it’s smaller serving size and some are unique to it. Finally, the Auto-Spiralizer allows you to spiralize vegetables or fruits into thin or thick sizes. Each mode is detailed here below, along with details about other things included in the Intelli-Sense Kitchen System. First though, a little background on Ninja. Ninja is the food side of the SharkNinja Family, as they refer to themselves. Their products include Ninja blenders and blender food processor systems like the CT682SP Intelli-Sense Kitchen System. Other Ninja products include coffee makers and even the Ninja Coffee Bar® System, which is a complete coffee system similar to the Intelli-Sense Kitchen System in offering a lot of features in one product. Finally, Ninja has a product line of slow cookers and cooker systems like the Ninja® Cooking System with Auto-iQ™ , a comprehensive cooking system with over 80 automatic programs. The Shark side of the SharkNinja Family has four main product categories with several products in each category. SharkNinja is currently headed by Mark Rosenzweig and is now headquartered in Needham, MA, where it recently relocated from Toronto, Canada and was known as Euro-Pro Operating LLC before changing its name to SharkNinja Operating LLC in late 2017. SharkNinja is privately owned and portions of it have been in the same family for three generations. The Ninja side of the company dates back to 1995. This review will focus on the Ninja CT682SP Intelli-Sense Kitchen System with Auto-Spiralizer, since it reflects just about everything Ninja does and is one of their newest models. This blender really is a system. It has one 1,200 watt blender base that works with four different pitchers or jars to do 12 different blender or food processor tasks plus 2 auto-spiralizer tasks. The blender base will automatically detect which pitcher you connect to the base, and then give you 4 different options on the blender base to choose from for that pitcher. For example, when you put the standard 72 ounce (it actually holds 64 ounces of liquid) “Total Crushing Pitcher” blender pitcher on the base, the base lights up with the following 4 modes: Smoothie, Frozen Drink, Ice Cream and Snow Cone. The blender motor will automatically cycle through a programs for whatever mode you choose to, for instance, blend a creamy smoothie or grind ice into fine dust for a snow cone. As you can see, the Ninja CT682SP gives you a lot of options in your kitchen, from ice cream to dough to chopping to spiralizing zucchini. So, consider the CT682SP as a potential replacement for at least some of the things you do with your food processor but also know that you will have to make room for four separate blender pitchers or attachments. This review will cover each and give you a recommendation, as well as purchase options and finally compare this system to the Vitamix Professional 750 Heritage reviewed above. This Total Crushing Pitcher is similar to any other blender pitcher. 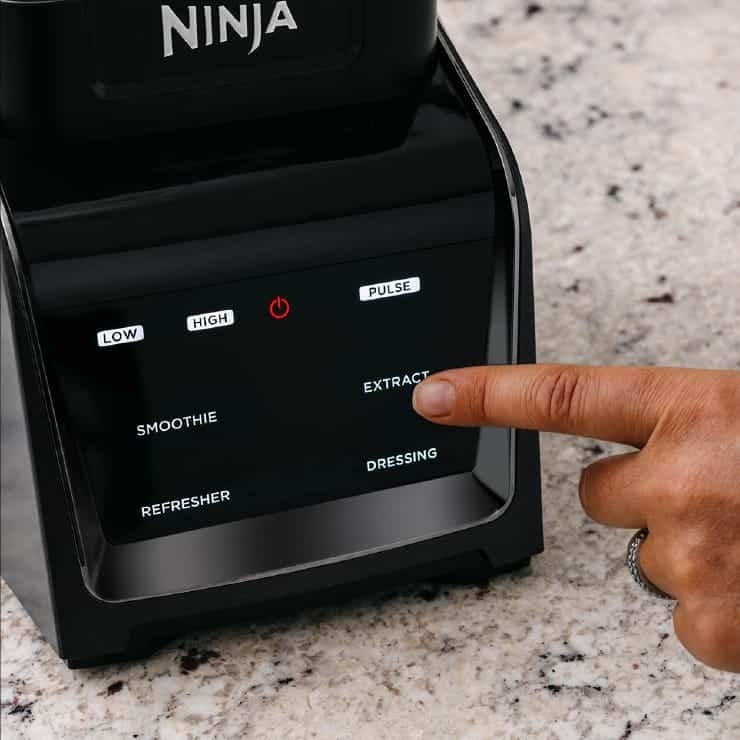 One interesting Ninja feature is the pitcher lid, which has a built-in corner spout for easy pouring that is able to be locked down during blending. The Total Crushing Pitcher holds 64 ounces of liquid in a 72 ounce (gross) jar. Just insert the pitcher onto the blender base and the base will light up with four options. Frozen Drink: This mode is meant for making mixed drinks with or without alcohol. It is designed to finely blend ice with whatever liquids you’ve added to give you a “slush” textured drink. Ice Cream: This mode takes your basic ingredients like cream, milk, sugar and turns them into ice cream, sorbet or similar even healthier desserts. Snow Cone: Ice crushing is the focus of this mode. Use it to make drinks like granitas or even snow cones with very finely crushed ice. The Precision Processor Bowl is an 8-cup food processing attachment for the blender base and two different kinds of interchangeable blades. Use one set for Dough and the other for the other modes. Puree: This mode is designed to make creamy sauces or hummus from your choice of ingredients. Dough (Use The Dough Blade): Make dough with this mode by adding flour, water and other basic dough ingredients to knead them all together into a dough. Smoothie: This mode works the same as it does with the Total Crushing Pitcher, but on a single serving. This option is great when you just need one smoothie serving and don’t want to have to use the bigger blender pitcher. Extract: This mode extracts juice from dense, fibrous foods like carrots or stems, even seeds. Refresher: Use the Refresher mode to infuse fruit, vegetables, herbs or anything else into water for a flavored gym refresher to take with you or enjoy at home. Dressing: The individual serving cups are great for making dressing, sauces and marinades and are again a nice alternative to using the full sized blender pitcher. The Spiralizer makes pasta-like shapes from vegetables or other foods, and acts as a healthy substitute for heavy pasta. Zuchinni and sweet potatoes are often used as the vegetable pasta substitute for their fairly neutral flavors. You can then use the spiralized vegetables in any dish that you’d use with pasta like spaghetti or fettuccini. When you attach the Auto Spiralizer to the blender base you can spiralize vegetables like zucchini into shapes like some of your favorite pasta. You can also use the spiralizer for making salads or other vegetable dishes. You have two blades to choose from, a thin cutting Spaghetti Blade or a thicker cutting Fettuccini Blade (an additional 5-blade attachment is available to purchase). Once you’ve inserted your choice of spiralizer blade into the spiralizer, use the tamper to run your ingredients through the blade and into the bottom container. Each of the four Ninja Intelli-Sense Kitchen System attachments is made out of BPA-free, Tritan™ plastic, not glass. Glass is not really used by blender manufacturers anymore since durable plastic is considered safer. These attachments are considered dishwasher safe by Ninja but are not designed to contain or make hot foods like soup. There are three manual modes, “PULSE”, “LOW” and “HIGH” that you can also use with the Total Crushing Blender Pitcher, the Precision Processor Bowl and the High Speed Blender Cup. Use these manual modes to when you just want to blend without using any of the automatic modes. The “PULSE” mode only runs as long as it is pressed, while the “HIGH” and “LOW” buttons will run until they are stopped. The Ninja Intelli-Sense Kitchen System is great for doing a lot of kitchen tasks at a moderate price (see below). It can do all of the things you want a blender to do, plus a lot of the things a food processor can do and even spiralize. So to call this a system is accurate if you have the space for all of the attachments. If you’d like to have all of this capability in one product, it’s well worth taking a look. Customers have commented that they really like having so many functions in the Intelli-Sense system that will quickly change with whatever pitcher or container you place on the motor base. It has allowed them to do many things with their Ninja system that they had to do with manual hand held gadgets or other machines link food processors. Others have said that the motor in the Intelli-Sense system is really loud, so be prepared for that. You should know that the Ninja CT682SP only has a 1-year warranty from Ninja, the manufacturer. This is not long enough since a lot of small appliances like this fail in the first couple years of ownership. You should purchase an extended warranty for as long as you can get, see warranty options right here below. See information on latest pricing, free shipping options, extended warranty options here at Amazon. The biggest difference between Vitamix and Ninja is quality and focus. Vitamix has only been making blenders since the 1920s. They still only make blenders, currently a range of models that are known for quality and for offering long term warranties. Ninja as part of the Shark Ninja system makes a lot of appliances and even a lot of blenders and blender systems. Each of the blenders reviewed here is a good representative of each company. The Vitamix Professional 750 Heritage is a high quality exceptional blender that is often used by professional chefs. It’s components are solid and are built to last. The Professional Heritage 750 comes with a standard 7-year warranty. It is also expensive, priced at the top of the blender price range. The Ninja Intelli-Sense Kitchen System CT682SP is a true system, with four separate attachments that will do everything from standard blending operations to spiralizing zucchini. It has a lot of features and options (you can even buy more blades) to give you a range of capabilities in your kitchen. It has a 1-year warranty and is priced in the moderate range among other blenders. The biggest difference between these two models is price and quality. It really is an issue of getting what you pay for. You will pay much more for the Vitamix than the Ninja, but the Vitamix is a better blender and it will last longer. Vitamix Professional 750 Heritage and Ninja Intelli-Sense Kitchen System CT682SP. Also, if you want to see other makes and models in addition to these two, read our Best Blenders review. 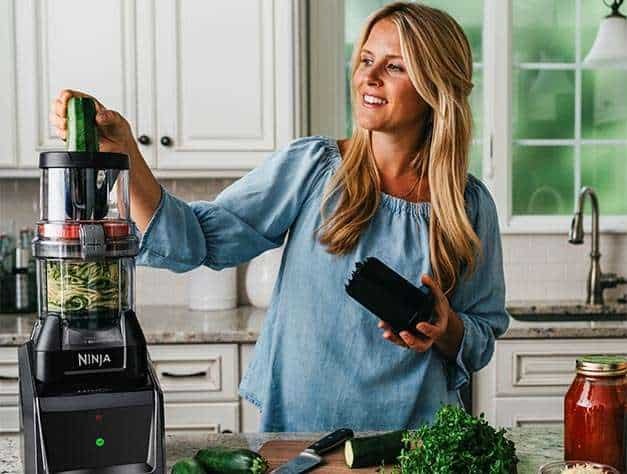 This review includes other Vitamix and Ninja models, in addition to these two, plus reviews of blenders from Blendtec, Breville and Wolf Gourmet. For more information on other Ninja blenders and food processors, this review compares several models.